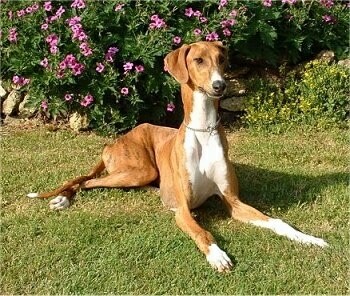 Particularly leggy and elegant, the Azawakh sighthound gives a general impression of great fineness. His bone structure and musculature is transparent beneath fine and lean tissues (skin). 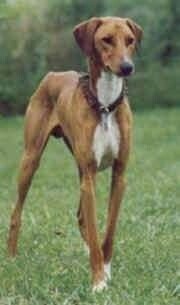 This sighthound presents itself as a rangy dog whose body fits into a rectangle with its longer sides in vertical position. The Azawakh's skin is fine and tight over the whole of the body. The hair is short, fine, down to none on the belly. Coat colors come in fawn with flecking limited to the extremities. All shades are admitted from light sable to dark fawn. The head may or may not have a black mask and the blaze is very inconsistent. The coat has a white bib and a white brush at the tip of the tail. Each of the four limbs must have a compulsorily white "stocking," at least in shape of a trace on the feet. The black brindling is admitted. 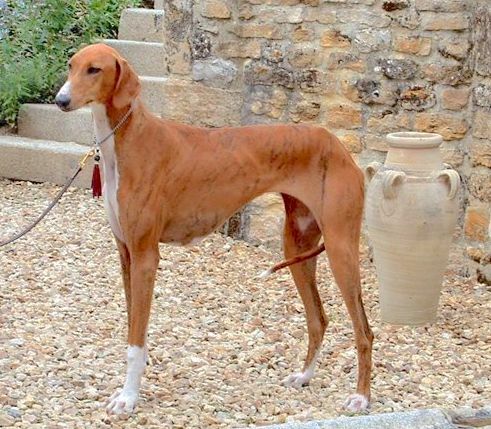 Relative to its native environment, the smooth-coated Azawakh hound mentally and structurally manifests his vocation as hunter, protector and companion. Quick, attentive, distant, proud and alert, he remains instinctively reserved with strangers and gentle with those he loves. Socialize well. Especially slender and elegant, his frame and muscles are visible under a dry, fine skin. The Azawakh has a natural tendency to guard. Be sure you are this dog's calm, but firm, confident and consistent pack leader. Does best with an owner who is even-tempered, displaying a natural, but gentle authority over the dog. Independent and exceptionally fast, these dogs can reach up to 37 mph (60 km/h). The Azawakh will do okay in an apartment if it gets enough exercise. They are relatively inactive indoors and a small yard will do. Azawakhs are sensitive to the cold but do well in cold climates as long as they wear a coat outside. Azawakhs that are kept as pets should have regular opportunities to run free on open ground as well as have long, brisk walks daily, preferably at the same time every day. The Azawakh originated in the Sahel region of Africa. 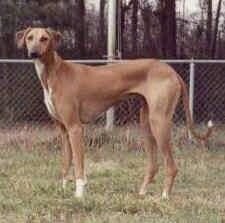 They have been bred by the numerous nomadic tribes of the Southern Sahara as hunting and guard dogs, as well as companions. The hound's vocations were, and still are, the chase, guarding and companionship. One cannot help but appreciate their regalness. These dogs often can be seen sleeping on the low straw roofs of the village homes of their Mali owners. As a hyena or other night predators approach, the first Azawakh to see it jumps down and is quickly joined by the others; they form a pack and chase away or kill the intruder. 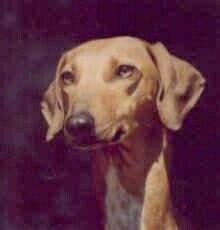 The Azawakh was recognized by the United Kennel Club on January 1, 1993.